پلیس ضدشورش مقدونیه با سیل مهاجران خشمگینی که در مرز این کشور و یونان آواره‌اند برخورد کرد. هزاران پناهجوی عمدتا سوری، عراقی و افغانستانی می‌خواهند خود را از مقدونیه به کشورهای مهاجرپذیر اروپایی برسانند. 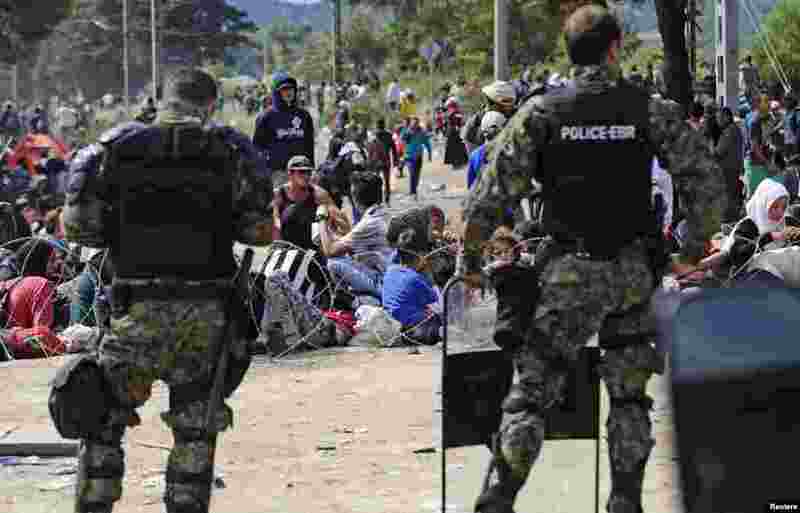 ۱ Macedonian special policemen guard the border as more than a thousand immigrants wait at the border between Macedonia and Greece, Aug. 21, 2015. 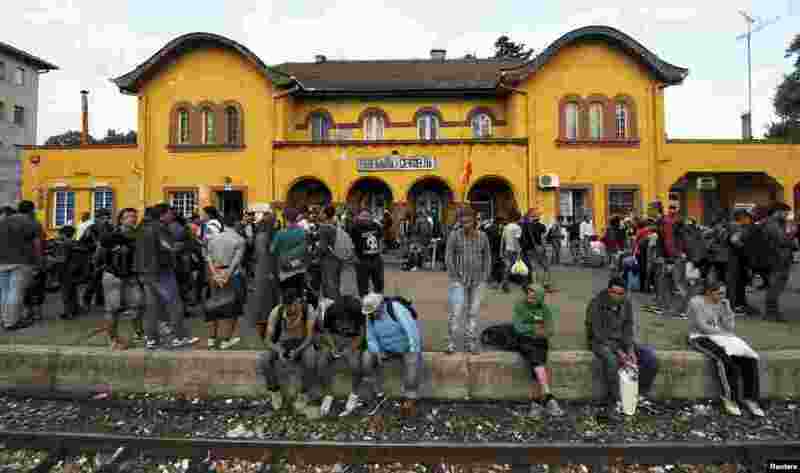 ۲ A group of immigrants arrive at the Gevgelija railway station Aug. 21, 2015. 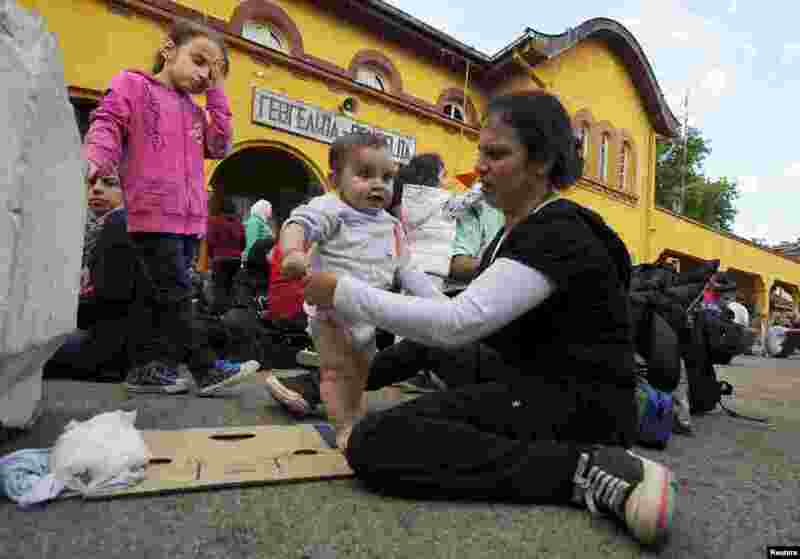 ۳ A group of immigrants who passed through police blockades arrive at the Gevgelija railway station, Aug. 21, 2015. 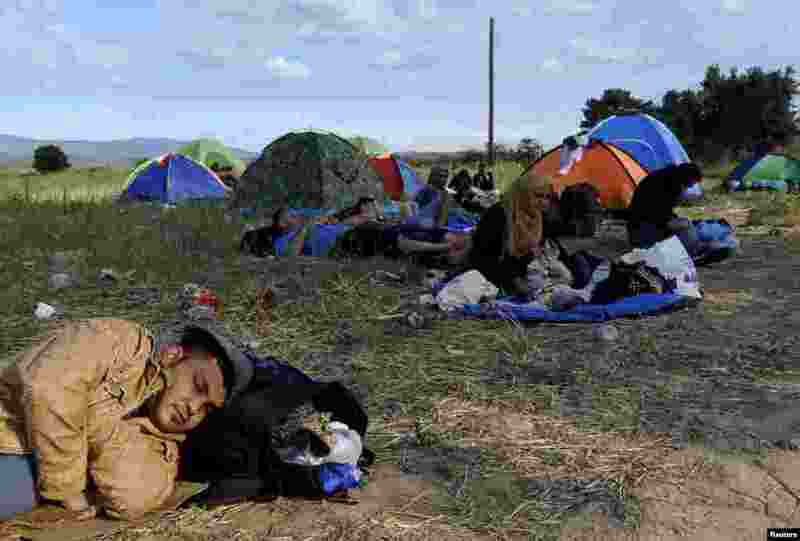 ۴ Migrants rest on a field at the border between Greece and Macedonia, Aug. 21, 2015.